You may think writing a CV is straight forward, but mediocre CVs are the norm and don’t do an applicant justice. Read on to learn how to present yourself effectively. 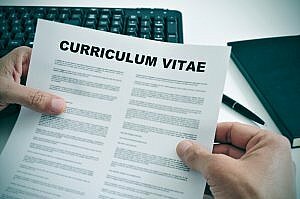 The key to writing a good CV is to understand how candidates are selected for interview either by an executive search consultant or an employer. For better or worse, a decision is made very quickly whether to consider a candidate based on a swift initial review of their CV. The assessor will not read every word in this review, or indeed ever. They might have hundreds of applicants’ CVs to consider. It is therefore important to keep this in mind and to present information in an effective and accessible way. Often 1 or 2 page CVs can be too short, especially for an experienced and senior consultant, but try to limit yourself to 3 pages if at all possible. Management consultants’ CVs are often quite long in order to include information on different projects, but much more than 3 pages is daunting to the reader. Ensure your font is consistent throughout the document. It is surprising how often CVs contain multiple fonts. Many candidates update an old CV to include the latest employer without reviewing the previous version and checking the font. This can be a factor in over-long CVs, but more on that later! Use a modern font such as Arial or Calibri but never Times New Roman! Company logos and complicated boxes often get lost or stripped out when a CV is uploaded to a recruitment system. They can throw the layout off, so Prism doesn’t advise including these. Keep this simple with a telephone number, email address and approximate location. If you think your location may be a negative with a recruiter (if you are not within commuting distance of the job you’ve applied for for example), leave it off. That in turn may raise a question mark, but allows you a foot in the door in order to enable you to explain your flexibility. Include a ‘Career Summary’ or key skills at the front of the CV if you wish but limit this to a maximum of 25-30% of the page. The career summary is commonly on a CV but a note of caution: don’t assume people will read it, so don’t include anything in this section which is not readily viewable in the rest of the CV. It is a myth that recruiters first read the career summary: it is seen as primarily a ‘marketing’ section and unlike a candidate’s career and employment history there is less consistent presentation across applicants. This is the meat of the CV. Page 1 should tell the recruiter what you have done recently. Layout is important to make the key information stand out. List jobs in reverse chronological order. Where you have had multiple roles with the same employer use an overall heading/dates then, below, your jobs within that employer also with dates. If the employer is not well known, or is niche in focus, then a short one or two line introduction to the company should be included. For each job a summary to clarify the role is helpful as job titles are not consistent across different employers. A short paragraph will suffice. Add up to 4 key achievements in this job, ideally in bullet point format. major clients you have worked on: you don’t need to name them but do need to describe them. Try and avoid overlapping dates if at all possible as this can be very confusing for the reader. Also make sure you check your dates: errors make a bad impression and could be viewed with suspicion. Your most recent employer and jobs should take up most space on your CV because your recent career is of most interest to a prospective employer. As a rough rule of thumb the most recent 50% of your career should account for 75% of the employment section and for the more experienced candidate be aware that details of experience and roles more than 10-12 years ago is of limited relevance to a CV reviewer. If you find you are producing a CV which is much longer than 3 pages it maybe that you are updating an old CV by adding on more recent jobs, but not reducing the amount of information on earlier roles. Don’t forget to review and edit the information on your early career. The guidelines in the “employment history” section above will only be relevant for the most recent roles as otherwise the CV would become very long indeed! When they are good, put them in, if not, don’t! If you have a 1st or 2.1 degree, say so, and always include tertiary and major work related qualifications, especially if you are aware they are sought after skills. If you are concerned that recruiters may be deterred by your age, remove degree dates and qualifications (and also consider omitting jobs before a certain period: a CV must be truthful but there is no obligation to list every single role). The Equality Acts of course make it unlawful for employers to discriminate against job applicants because of age but it would be naïve to pretend it doesn’t happen, so make it difficult for people to do so! Make clear any roles which are interim or there is a danger someone will misconstrue this as “job hopping”. If you run your own business as a freelancer you should list assignments under an overall header which makes clear you are self employed. A CV should not be inaccurate or misleading but that doesn’t mean you have to draw the reader’s attention to gaps if, for example, they reflect a period of job searching following redundancy. A helpful device here might be to use whole years rather than months when listing employment dates so gaps of a few months are less obvious. Also if you have recently left a job don’t be tempted to leave your CV stating “20xx to date”. When an employer/recruiter finds out at best they will think you are sloppy and at worst that you were trying to mislead them. In any event being available for interview and employment at short notice can be an advantage so it’s best to be open. It is acceptable and indeed sensible to tailor your CV to specific job applications by for example mentioning and highlighting specific projects, skills and experience. This should be in your recent jobs and any introductory or summary sections. It is however both wrong and unwise to exaggerate or misrepresent your experience. This is not essential but if included should be short. It is surprising, perhaps, how often an employer picks up on this section of a CV. It can have real value but the key consideration is unambiguous: “does this information make me more or less attractive to an employer?” It should therefore only include points that may enhance your employability: obvious examples might include team sports, significant achievements, school governor etc. Unusual is fine: quirky is not. Best steer clear of anything too solitary. At all costs avoid “dad/mum to two fantastic kids: Oliver 4 and Amber 2” and similar. Management consultancy CVs sometimes pull out projects and put these in a separate section, but Prism doesn’t advise this approach. Recruiters want to know when the experience was gained and this presentation does not provide that information. Don’t list too many ‘Key Skills’. Any more than 5 are just ‘skills’! Use spell check but also always proof read several times as spell check can’t always be trusted. Common errors are “form” and “from” and “formerly” and “formally”. Ideally get someone else to do so too: it’s easy to become word blind on a document you have read many times. If you make mistakes employers will assume you lack attention to detail and are careless. If you can’t get your CV right you won’t get a client report right. Beware capitals: spell check often ignores capitalised words. Your CV should be consistent with your LinkedIn profile (dates, job titles etc.) as invariably the latter WILL be looked at. But it can be tailored and LinkedIn shouldn’t just be an online version of your CV. We have more articles on our website to help with your job search and advice on preparing for interview and answering classic interview questions.